Is there a clean sustainable alternative to epoxy resin flooring? When choosing an industrial floor you could be forgiven for thinking that the only options available to you are epoxy resin or floor paint, but we’ve been providing the world with a smart, clean and flexible alternative for 20 years. Many of our clients say to us that, when researching options for a new factory or warehouse floor, they were frustrated by the seeming lack of choice out there in the market; until they found us. And who can blame them? Perform a Google search for the terms ‘industrial flooring’ or ‘factory flooring’ and you’d be forgiven for thinking that the only types of floors available are expensive, environmentally unfriendly and wasteful epoxy polyurethane; that your only choice is to hire flooring contractors who will ask you to close down your factory, move all of your equipment out and give your staff the month off, so they can pour litre after litre of noxious chemicals onto your floor. So if the World’s biggest search engine doesn’t understand that not all industrial flooring has to be bad for your business and bad for the environment what hope the rest of us? Fortunately here at Ecotile we have been pioneering our smart, clean and flexible interlocking flooring technology long enough to know that you sometimes have to wait for people to catch up. Even Californian computer whizz kids. So what is the problem with epoxy resin? The bottom line is that we can lay our flooring directly onto almost any surface using our unique interlocking flooring system. This means that no glues or adhesives are required so no chemicals are used during the installation process. It also means that we can work around you, so you can have a new warehouse or factory floor installed with virtually no downtime. Ecotile flooring is made from PVC – how environmentally friendly is that? We use a combination of recycled and virgin PVC pellets to produce our floor tiles. We also operate a scheme where we collect our old floors and take them away to be turned into new Ecotile floors. An old epoxy resin floor, in comparison, can only be broken up and thrown into landfill, where it then breaks down slowly over many years, releasing its chemicals back into the environment. We got to great pains to source only the most responsibly produced PVC pellets where we need to, however our main focus is on producing tiles that are predominantly recycled PVC. It’s also worth mentioning again that the fact that we can lay them without chemicals or adhesives makes a big overall different to the UK’s industrial carbon footprint. The more manufacturers, retailers and logistics companies that use us the greater this benefit will be for the country as a whole. Is Ecotile Flooring really a viable alternative to resin? Ecotile performs as well or better than epoxy flooring when it comes to withstanding that daily punishment of HGVs, fork-lifts and pallet trucks. You can put our tiles under as much stress as any other type of floor and we will perform as well or better. That’s guaranteed. And if you damage a tile it can be lifted and replaced in a couple of minutes. With epoxy, once you get a crack in it no matter how often you try to repair it the floor is never the same again. If the crack occurs where your forklifts need to operate you can be sure that the crack will increase in size until it is a health and safety issue. Not only that but we can create zonal markings, floor signs and logos to improve efficiency and reduce safety risks. 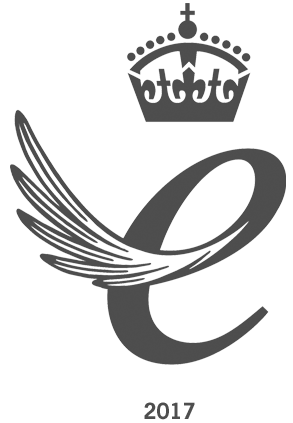 We are a UK ISO9001 company that is trusted across the world by brands such as Rolls Royce, BMW and TK Maxx. Why not put us to the test? Contact our expert flooring contractors today and allow us to prove to you how Ecotile can solve all of your flooring problems whilst saving you money and reducing your firm’s carbon footprint.